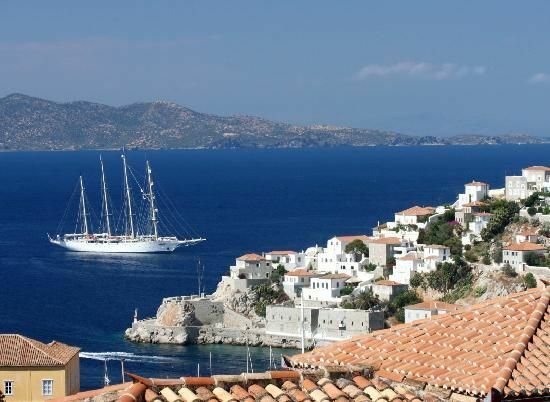 - Rich photographic material detailing the history of an island whose long maritime tradition and history are still attracting contemporary visitors. c) A noteworthy collection of navigation charts. 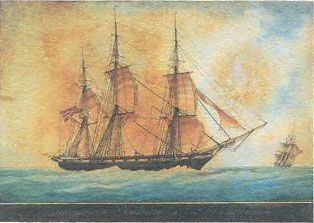 Exceptionally impressive is a canvas by an unknown artist depicting Emmanuel Tombazis, a sea fighter from Hydra leaning against the gunwale of his ship, "Terpsichore”, the Tombazis family schooner. 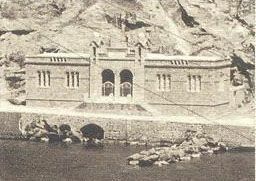 Emmanuel Tompazis participated in many maritime operations first under the command of Miaoulis and later under Kanaris. From 1823 to April 1824, he served as Governor of the island of Crete and later as representative of Hydra in the National Assemblies. Equally outstanding is Nikolaos Vokos’ canvas showing Eleni D. Kriezi, a lady of Hydra, dressed in a typical costume of the time. 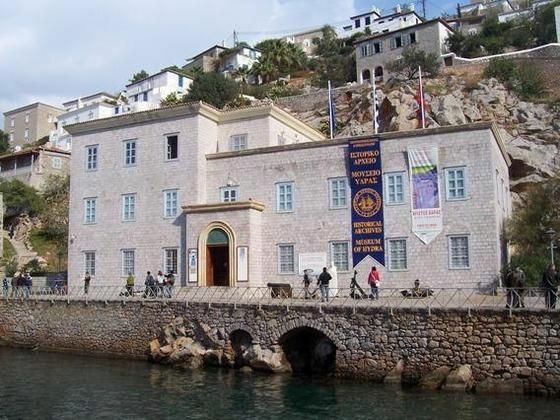 Among the very important paintings exhibited at IAMY (Hydra Museum Historical Archives) is also the portrait of Ioannis Tetzis, MD from Hydra, by the Austrian painter Frank Pizze. The Historical Archives possess a wealth of material for historians and researchers. As regards manuscript documents, the Archives hold 17.000 to which must be added 122, handwritten in their majority, codes and community records with details of the period from the mid-18th to the end of the 19th century. 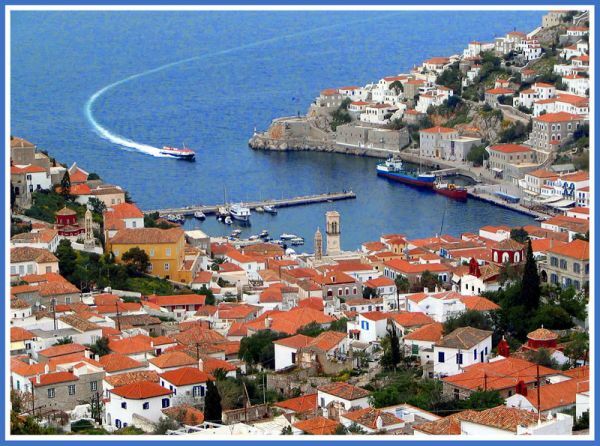 We owe the preservation of this material, which provides a lot of details about Greece of the past two centuries, to Antonios Lignos, a historian from Hydra, who from 1920 to 1953 published, with the help of the Municipality of Hydra and / or donations from his wealthy compatriots, the “Municipal Archives of Hydra” (16 volumes), the “Lazaros and Georgios Kountouriotis Archive (5 volumes), the “History of Hydra” (3 volumes), the “Miltiadis” battleship log and many monographs and historical studies, which were published in reviews of the period such as “The Future of Hydra” and “The Herald of Aegina”. For his contribution to Hellenic historical research, Antonios Lignos was awarded the Kitsos Makrygiannis prize and appointed associate member of the Academy of Athens. 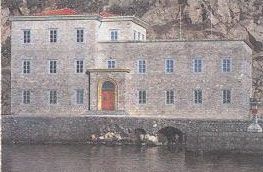 The Archive contains letters from major figures of the 1821 Revolution such as Theodore Kolokotronis, I. Makrygiannis and Andreas Miaoulis, as well as a signet of Patriarch Gregory V and letters from various philellenists. Among the exhibits, visitors may admire Andreas Miaoulis' portrait by George Rapsomanikis (1880). 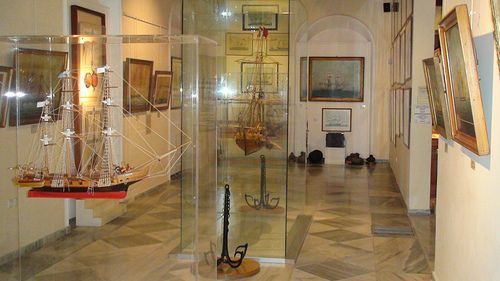 Miaoulis was the primary figure of the 1821 maritime operations. Visitors are impressed by yet another special exhibit. It is the silver urn containing Andreas Miaoulis embalmed heart which was taken from the hero's corpse on June 11, 1835 by order of King Otto and placed in the urn as a symbol of bravery and patriotism. The urn bears the inscription "LONG LIVE THE HEART OF ANDREAS MIAOULIS". 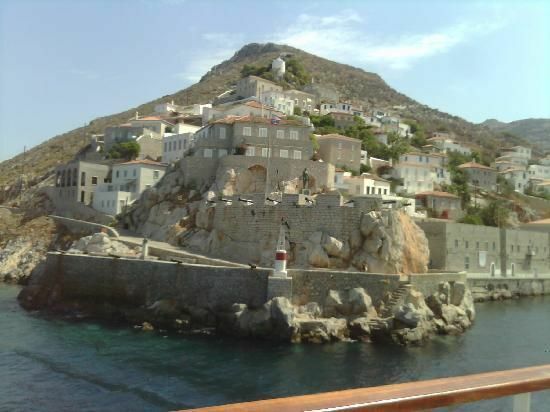 The silver urn containing the relics was donated to Hydra, Miaoulis' island of origin, where it is kept in honour of the hero in the historical church and famous monastery of our Lady's Dormition. Near the urn with the sacred relics stands a reproduction of Miaoulis’ cross. It is said that the hero carried the cross with him to all maritime operations and had it presented to the enemy at the vital moment of attack. 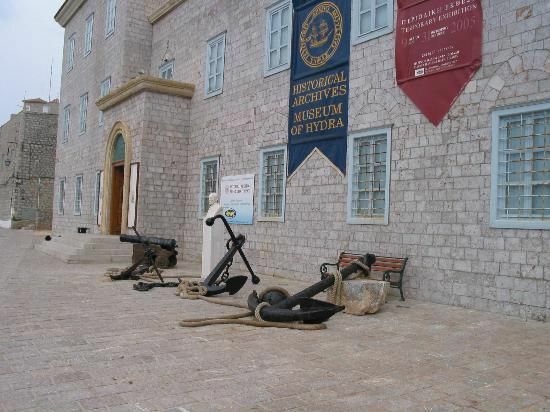 The Museum exhibits include weapons used by the fighters of Hydra, such as the so called trombones and horse pistols. The former were heavy, fore-end loading, flint firing, short barrel guns. 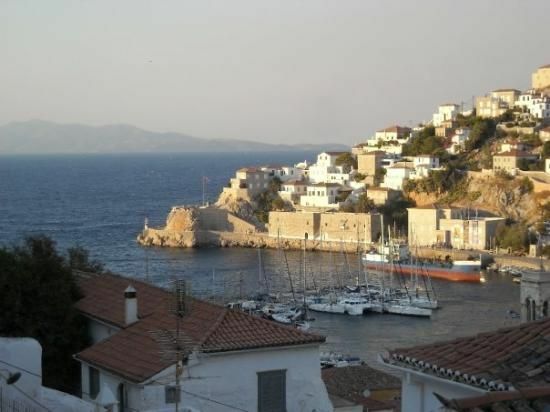 In the years of the Hellenic Revolution against the Ottoman Empire, islanders and, obviously also, seamen from Hydra had the opportunity and privilege of being able to purchase good quality weapons abroad and especially from the ports of Spain, England, France and Italy. 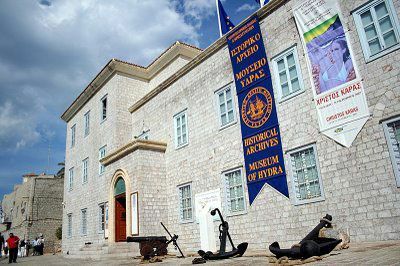 Thus, visitors may admire the trombones used by the fire-rafters George Sachtouris and Andreas Pipinos and the silver-set horse pistols of Giakoumakis Tompazis.